Isn’t it time you owned your own business? Work for yourself and you get to make the decisions. Work for yourself and you serve your customers. Work for yourself and you can do quality work you are proud of. Work for yourself and you get to keep the profits! 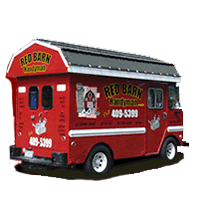 Your own Red Barn truck, fully built-out for your handyman tools supplies and ease of operation. Your own protected business territory. Graphic support for your own local advertising with provided Red Barn Handyman® logos and support artwork. Red Barn Handyman® uniform t-shirt 10-pack, (additional available). Your own business presence here on the Red Barn website.